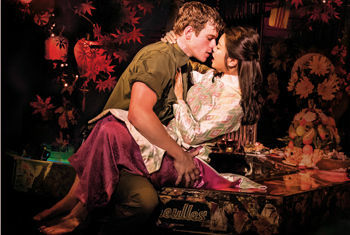 The UK and Ireland tour opened in July this year following a Broadway opening in March. Both productions play to nightly ovations with the New York production being nominated for the Tony Award for Best Revival of a Musical. The New Yorker recently called it a “Dynamite Broadway revival”. When the smash-hit run of this production opened in London in May 2014 to record-breaking advance sales and critical acclaim, Dominic Cavendish in The Daily Telegraph wrote, “This thrilling new production spills out beyond the theatre and speaks directly to the times we live in”. The show swept the board at the 2015 Whatsonstage.com awards winning a record breaking nine awards, the most awards ever won by a single show in the 15-year history of the awards including: Best West End Show and Best Revival of a Musical.